Deborah is from a Southern region in Malawi, where 1 in 7 people are living with HIV and where women are 36 times more likely to die during childbirth than in the United States. She spends her day drawing water, washing clothes, cooking and doing jobs around the home. In 2007, after her health started to rapidly deteriorate, Deborah was tested for HIV. She was found to be HIV positive and was advised to start treatment straight away. When she found out she was pregnant, in 2012, Deborah began to have many concerns about the future of her child, HIV passing from mother to child can have a devastating effect. 50% of children born with HIV do not get to see their 2nd birthday. Deborah recently gave birth to her first child, Edward. Now, meet Emma. She has four children of her own and lives in a nearby village. She is also HIV positive, and has given birth to HIV-free children. 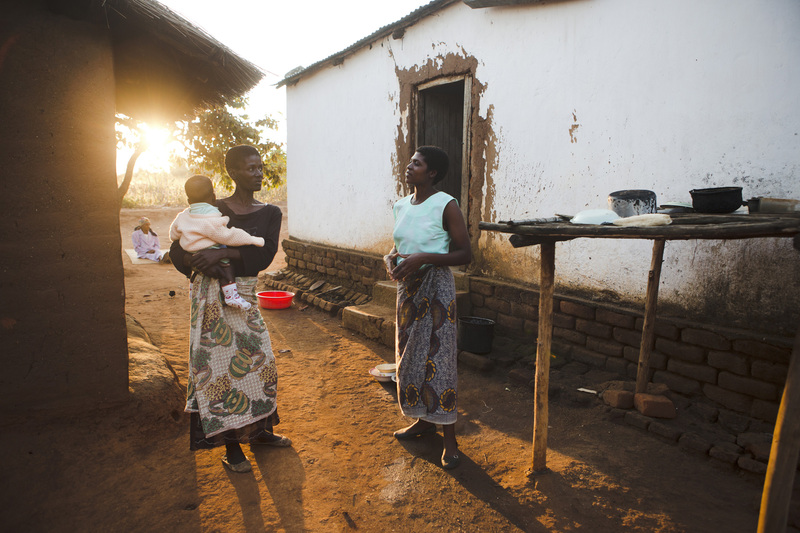 Emma now supports other mothers, like Deborah, in her community. She visits Deborah regularly and has done throughout her pregnancy – providing practical advice, emotional support and counselling to Deborah and her husband. Her role is critical in preventing complications for both Deborah and Edward. Emma is a Mother Buddy. Deborah is just like many mothers around the world. She worries for her child, and wants him to have a good education, to have dreams and a bright future. Thanks to Emma’s care, Deborah was encouraged to keep taking medication and give birth in the local clinic rather than at home, a huge factor in healthy deliveries. And the effect? Edward was born HIV-free! “The most rewarding thing is the happiness and appreciation of the mothers who have not lost their babies. When I hear these stories I feel so proud,” says Emma. Emma is a role model in her community, an empowered woman inspiring those around her. What’s more astonishing is that she does this despite the fact that when she discovered she was living with HIV her husband refused to be tested and abandoned her. He left her, to fend for herself and their four children. The Mother Buddies are having an amazing impact in this community. We celebrate that Edward was born HIV free, and not only that but the fact that Deborah and Edward are alive! But just five Mother Buddies cover an area of 300 square miles, with thousands of expecting mothers to care for. Health affects everything and is key to a thriving community. As difficult as the situation is, we are so inspired by the work of these women. THE WORK OF THE MOTHER BUDDIES IS CHANGING LIVES. YOU CAN SUPPORT A MOTHER BUDDY TODAY FOR JUST £5 A MONTH, TO HELP KEEP MOTHERS LIKE DEBORAH ALIVE AND SEE THEIR CHILDREN BORN HIV FREE.